is also accepted as an iconic and official version. The backstory there is that the cheers of the prisoners reacting to the line “But I shot a man in Reno just to watch him die” was added in post-production; the prisoners were careful not to cheer any lines referring to lawlessness lest they invite retaliation from the guards, who were probably a little nervous about the show anyway. I assume that the players on the session are Cash’s long-standing band (they also played on the live version), guitarist Luther Perkins, bassist Marshall Grant and drummer W.S. Holland. The record was the first LP issued by Sun Records; the legendary Sam Phillips produced, and I assume it was recorded at the Sun Studios in Memphis, Tennessee. 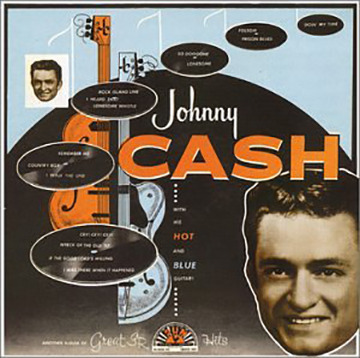 Cash wrote the song while stationed with the U.S. Air Force in West Germany, in the 1950’s. He had seen a movie ”Inside The Walls Of Folsom Prison” (a dramatic film, not a documentary; he came up with “I shot a man in Reno” line and “borrowed” a melody and some of the lyrics from a song by Gordon Jenkins, “Crescent City Blues,” which in turn was based on a song by blues singer/pianist Little Brother Montgomery. 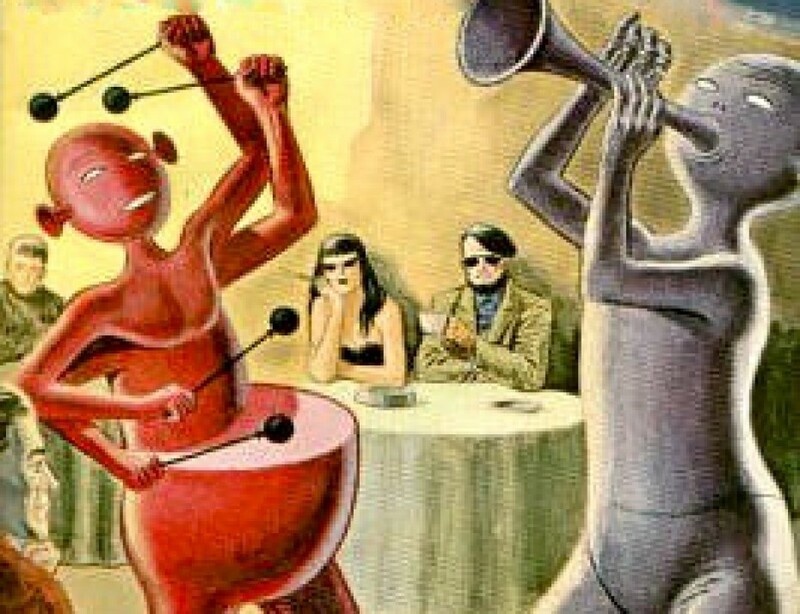 The Jenkins song was on a “concept album” called ”Seven Dreams,” which was released in 1953. Jenkins is the author of one of the most beautiful jazz ballads, ”Goodbye,” which was Benny Goodman’s sign-off tune for his radio show, and also arranged Frank Sinatra’s “September Of My Years” album. The singer on Jenkins’ “Crescent City Blues” was Beverly Mahr. Jenkins sued Cash in the 70’s and was paid a settlement of $75,000; it’s unclear if Montgomery was ever paid any money (Montgomery spent a lot of time here in Chicago and I wonder if any of you mugs out there knows anything about this?). The song became one of Cash’s signature tunes, and helped forge his image as an outlaw, although, unlike Merle Haggard, he was never in prison. He did spend a lot of his early years living a wild life on the margins of the law, along with room-mate Waylon Jennings. He was a notorious drug user, but finally cleaned himself up in the 1990’s. Cash was an activist; he continued to do prison concerts throughout his career, and was an early fighter for Native American rights – he recorded the song ”The Ballad Of Ira Hayes” in 1964. Hayes was one of the U.S. Marines who raised the American flag on Mt. Suribachi on Iwo Jima; he was a member of the Pima tribe, and on his return to the United States he descended into alcoholism and died of exposure in 1955. The Clint Eastwood film ”Flags Of Our Fathers” is a moving account of his story. Cash also shook up country music circles when he recorded ”Girl From The North Country” with Bob Dylan in 1969 (it became the leadoff track on Dylan’s album ”Nashville Skyline,” which also shook up the rock world), and his invitation to Dylan to appear on his television show arguably opened the gates to all subsequent country/rock/folk collaborations. Cash died in 2003, after experiencing a career rejuvenation at the hands of producer Rick Rubin.